Chelsea should be confident that they can get all three points against a West Ham side struggling for consistency, especially away from home. Chelsea boss Maurizio Sarri gave Callum Hudson-Odoi his first Premier League start, as well as featuring Ruben Loftus-Cheek and Olivier Giroud from the off as the Blues cruised to a 3-0 victory over Brighton. Giroud and Loftus-Cheek were both on the scoresheet, along with Eden Hazard as the capital club moved into fifth, outside the top-four on goal difference. Chelsea has picked up 14 points from a possible 18 (W4-D2-L0) as hosts since losing to Leicester just before Christmas. The Blues have conceded just twice in that recent run, whilst shutting out seven of their last 10 visitors; the home side has W7-D1-L0 against bottom-half opposition under Maurizio Sarri, leaking just three goals. West Ham boss Manuel Pellegrini described that defeat in their last outing as a “complete disaster" and it will be an uphill task to motivate them for this trip to Stamford Bridge. They're winless on the road in their last six games and fired blanks in five of those. 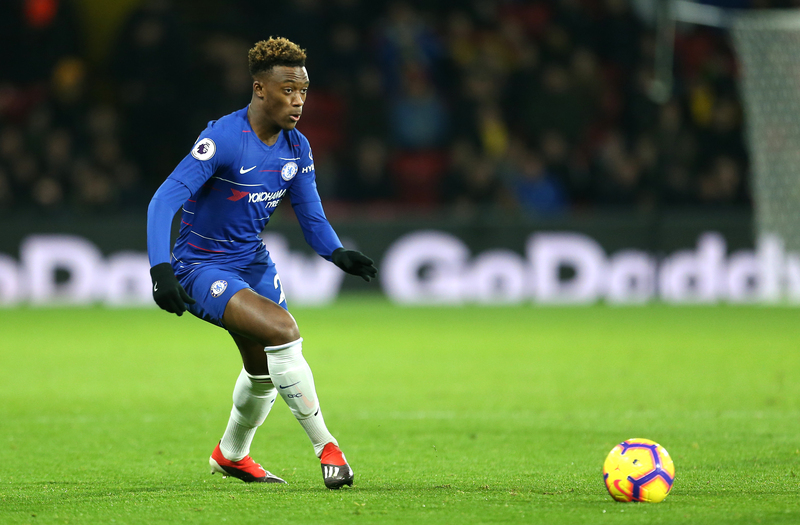 There is little case to make as to why Callum Hudson-Odoi should be dropped after his first Premier League start but that is exactly what Sarri is expected to do with Willian expected to come into the Blues attack. Ruben Loftus-Cheek has a minor hamstring issue which means that Ross Barkley is likely to be replaced at his expense. West Ham boss Manuel Pellegrini must do without long-term absentees Jack Wilshere, Andy Carroll, Andriy Yarmolenko & Carlos Sanchez. Samir Nasri, Marko Arnautovic & Felipe Anderson are all doubts but at least two should feature in the matchday 18. Follow Chelsea vs West Ham on Futaa!